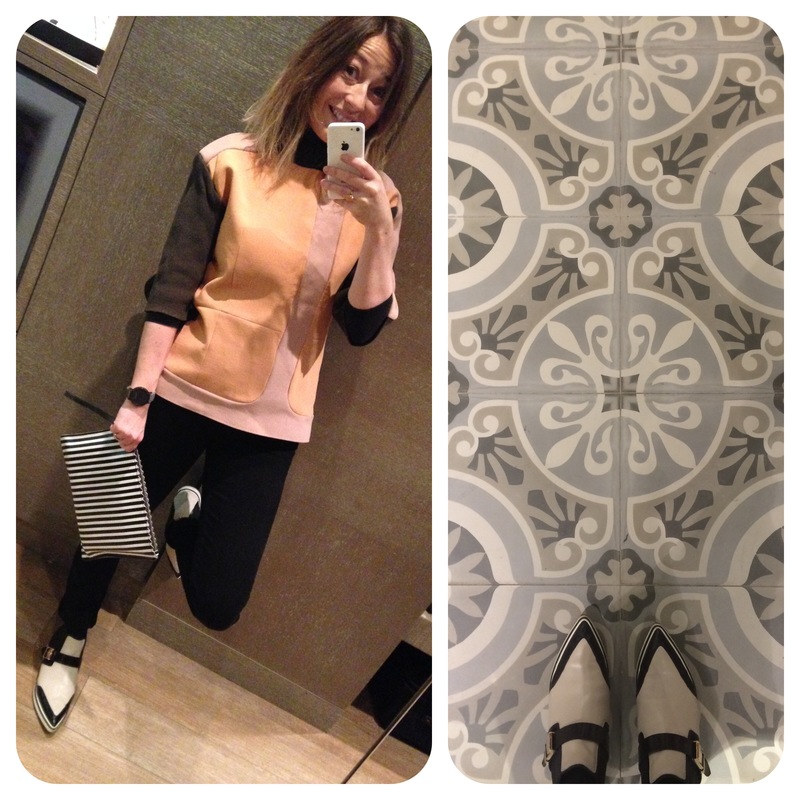 Thankfully I had time to change out of my ‘travelling outfit’ (jeans, no make-up) before we headed to see Gucci. Which was, by the way, LOVELY. It was warm enough for no jacket! Which got me very excited about spring…. 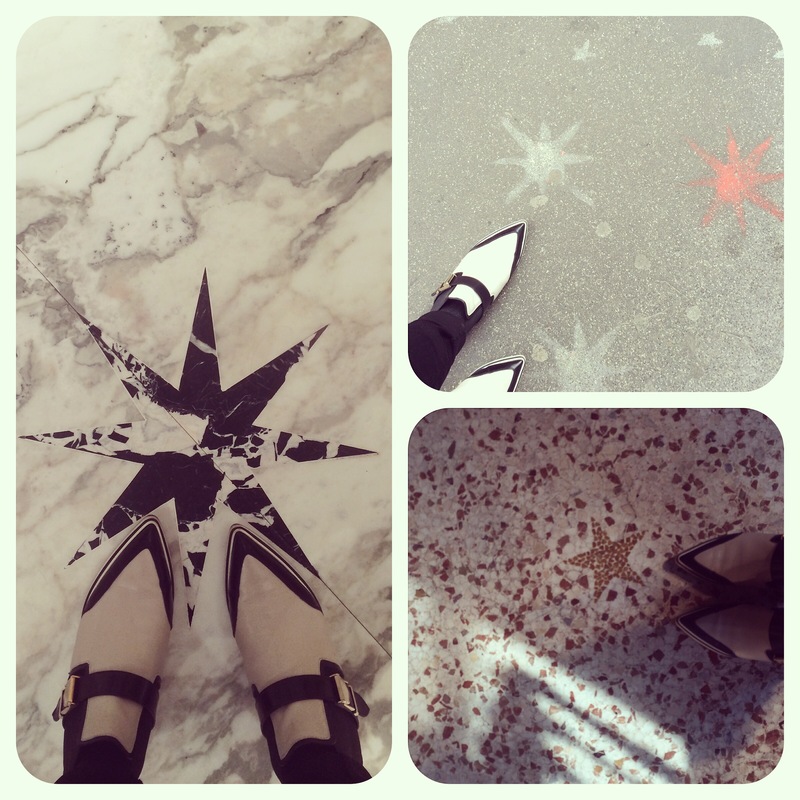 Did you know there are stars all over the floors of Milan? Always look down (and up – it’s the home of some pretty amazing ceiling too)! 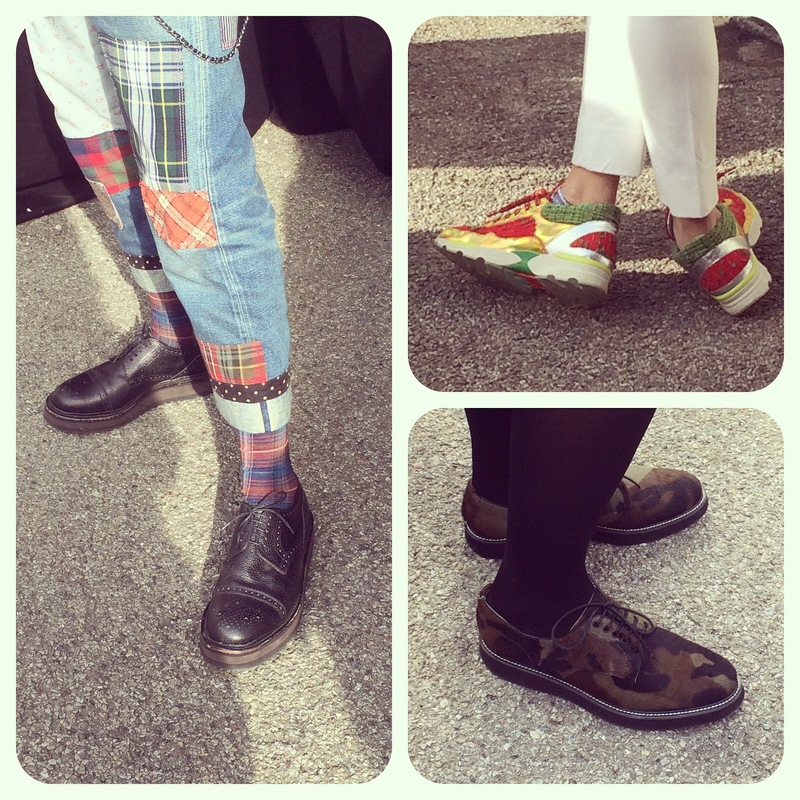 I’d been in Milan long enough to relax into trainers by this point. 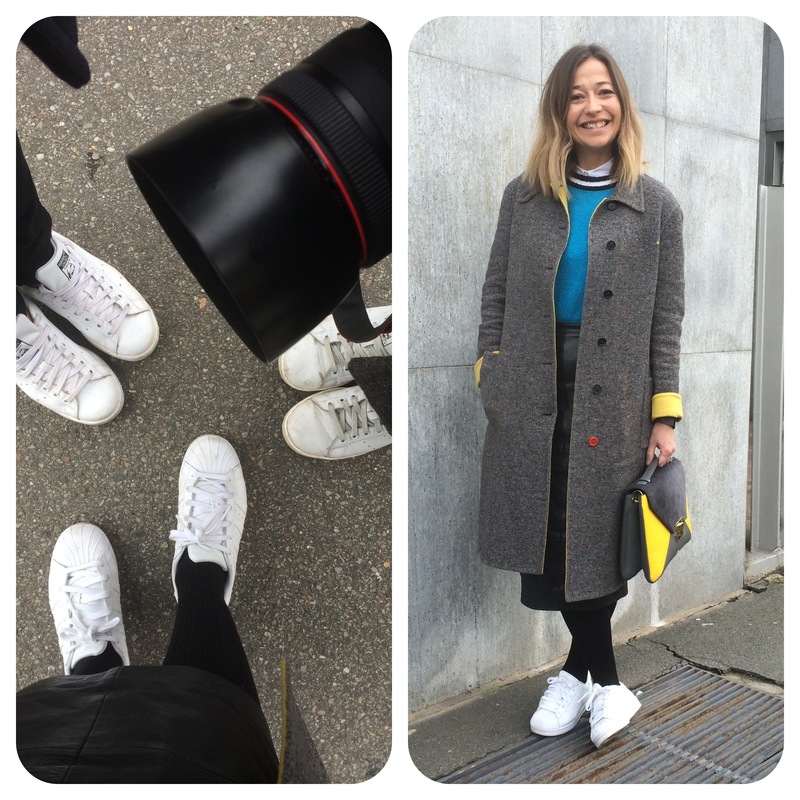 I bumped into a couple of street style photographers I know and they were both wearing Stan Smiths. I’m more of a Superstars girl myself. We visited the Prada showroom to get a closer look at the AMAZING collection. These rubber sole shoes are incredible. Can you tell how excited I am to hold one in my hand?! My favourites are the burgundy and grey pair. Totally weird but totally wonderful. 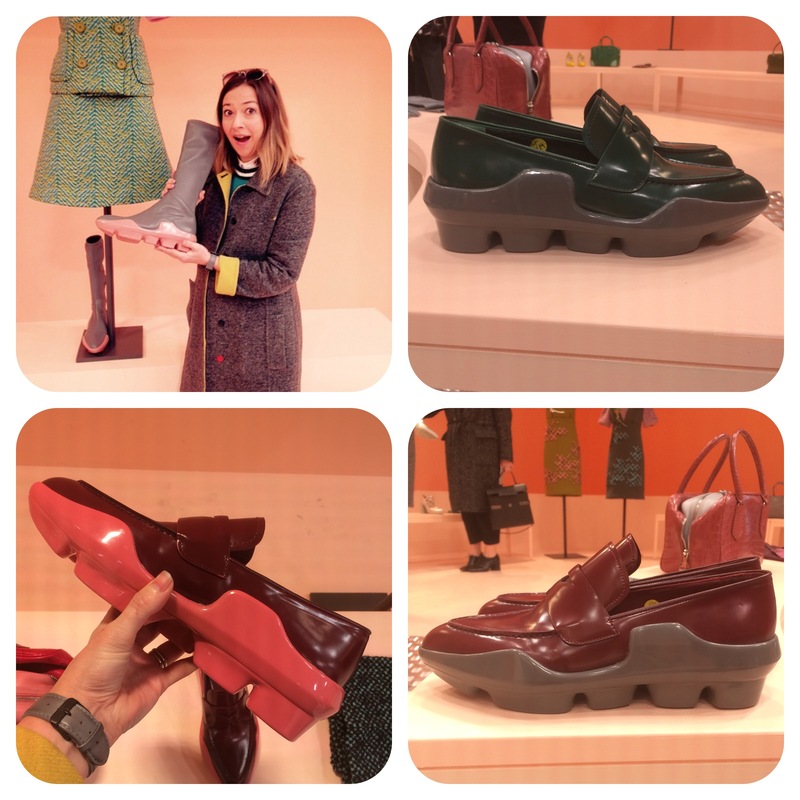 I’m a bit of a Marni fan so I was excited about my last day in Milan. You always see such well dressed people attending the show, as well as walking in it. Right, I need to pack for Paris! !